Ubisoft has announced Discovery Tour by Assassin's Creed: Ancient Egypt, a new game mode for Assassin's Creed Origins coming in early 2018. 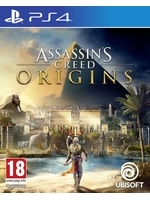 It will allow you to free roam and explore Ancient Egypt, free of combat and storyline to get the most out of its rich history. The mode also offers audio guided tours curated by historians and Egyptologists. The publisher also unveiled The Hieroglyphics Initiative, a research project in partnership with Google, created to help decipher the hieroglyphs using machine learning. More details inside. SAN FRANCISCO — September 27, 2017 — Today, Ubisoft® announced that a new game mode is coming to Assassin’s Creed® Origins, called Discovery Tour by Assassin’s Creed: Ancient Egypt, which will allow players to explore Ancient Egypt and learn about its history from guided tours. Discovery Tour will be a free update for all Assassin’s Creed Origins owners available in early 2018. 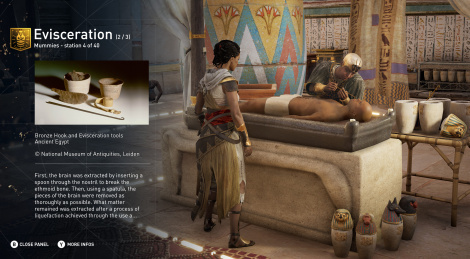 In this dedicated mode, players can free roam the entire interactive 3D recreation of Ancient Egypt in Assassin’s Creed Origins, free of combat, storyline or time constraints. From Alexandria to Memphis, the Nile Delta to the Great Sand Sea, the Giza plateau to the Faiyum Oasis, players can immerse themselves like never before in the rich history of Ancient Egypt. Discovery Tour will offer dozens of guided tours curated by historians and Egyptologists, each with a focus on a different aspect of Ptolemaic Egypt, such as the Great Pyramids, mummification or the life of Cleopatra.